A symbol is a person, place, or object that represents meaning for something other than itself. Symbolism in film is what gives a movie layers and can turn a blockbuster or box office flop into a cult classic that is debated and discussed for decades. It’s not always easy to identify symbolism and underlying themes in a film or TV show and sometimes may take a couple viewings. Check out these slightly edited movie scenes that give a more obvious interpretation of their underlying message. Students can go over these images in class to demonstrate their ability to interpret meaning in a story’s plot and overall theme. Using the popular gaming series Legend of Zelda, students research the fictional societies that are present in the games and draw conclusions about the societies through cultural analysis. In this lesson, students learn hardware specification terms and collaborate to identify the specifications of different video game consoles. Students then compare the specifications to determine which system they believe is the best. Turn on the radio or surf YouTube for music, and you’re bound to run into a remix of a song you already know. Remixes of songs can change the music or beat or insert new verses by rappers (often to try to get a song more airplay — Nicki Minaj doesn’t get a quarter million for a verse for no reason!). Sometimes a DJ might combine two different songs to make a new work, sometimes called a “mash-up.” DJs like Girl Talk or DJ Earworm have become popular taking anywhere between two and twenty-five different songs and mashing them together into new ones. The secret behind beat-matching is knowing the math. What you might not know, though, is that remixing is a process that requires careful mathematical calculations. Every song has its own tempo, or speed, and usually songs that might sound like they share a tempo are still slightly different. Beats per minute or BPM tells us exactly how fast or slow a song is. If you try to put an element of one song on top of an element of another one — mixing and matching beats, rap verses, or melodies — you’ll find that songs with different BPMs won’t match, and what you’ll hear is a total mess. Although some software will automatically “beat match” different songs, slowing down or speeding up two songs so that they have the same BPM, the secret behind beat-matching is knowing the math. What computer programs now do automatically, DJs once had to do themselves, slowing down or speeding up one song to match the tempo of another. By understanding how this math works, you’ll be one step closer to really knowing how popular remixes really work. What songs would sound better faster or slower? How much would you need to speed them up or slow them down to get the effect you’re looking for? These creative decisions would be impossible without the mathematical knowledge to back it up. Unless you’ve been living under a rock for the past 20 years, you have seen at least part of Jay Z’s slow and steady rise to the top. Though he began his career in music, and continues to make moves in that genre, the 45 year old has added several other career labels to his name. A brief read over of his biography and you see job titles like former Def Jam Records president, co-founder of Roc-a-Fella Records, Rock Nation Sports owner, 40/40 Club owner, Brooklyn Nets co-owner, author, and now streaming music service owner. His ability to move fluidly between career fields is what makes him the definition of a mogul. But what is it about him that makes this possible? 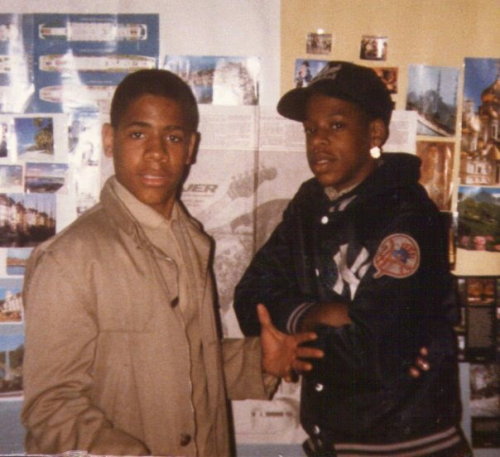 Jay Z was born Shawn Corey Carter on December 5, 1969 in Brooklyn, New York. He was the youngest of four children and raised by a single mother after his father left the family when he was 11 years old. Jay’s early environment in the Marcy housing projects meant his surrounding environment included plenty of drugs and crime. In “Where I’m From” he rapped, “I’m from… up the block, around the corner and down the street/ From where the pimps, prostitutes and the drug lords meet/We make a million off of beats, cause our stories is deep.” Though he could have remained in this environment his whole life, he used this same upbringing to motivate himself to pursue bigger dreams. While he began rapping in his teen years, it wasn’t until the early 90s that he began to get a little spotlight from working with artists like Big Daddy Kane and LL Cool J. He encountered struggles from large record companies who refused to sign him, so in 1995 he began his own record label, Roc-A-Fella Records with friend Damon Dash. Here he released his first solo album, Reasonable Doubt, which Rolling Stone named one of the 500 Greatest albums of all time. Over the next 17 years Jay Z would release another 10 records, ultimately selling over 100 million records and earning 19 Grammies for his work. So how often do people have to rely on code-switching to succeed? When have you relied on code-switching to get ahead? Is it strategy or selling out? To a mogul, it’s just another tool in the arsenal. Is Instagram the most popular social media app among 12-17 year-old teens? Or is Facebook still on top? Statistics vary on how many teens use each platform. CBS News stated 76% of teens use the app compared to 45% on Facebook. A Pew Research report said only 52% of teens use Instagram versus the 71% who use Facebook. The Pew Research shows wealthier teens, or those whose parents make over $75,000, use Instagram 23% more than those teens under $30,000 at 7%. Facebook is the preferred social media among the lower income teens at 49% versus 37% for upper income teens. Girls are on Instagram more than boys, 61% versus 44%. Instagram began as strictly a photo sharing app, but its popularity with teens has made the app more of a social network. Teens use hashtags along with their photos and videos to gain more followers. Because of Instagram, data usage has tripled among teens. As the app has become more popular, Instagram has begun to spread to younger children. One of Instagram’s rules is that a person must be thirteen to have a profile. However, children younger than thirteen are still creating profiles, showing that younger children are becoming drawn into the social media platform. Hashtags help with SEO, or search engine optimization. Because many teens think it’s best to have more followers than those they are following, they seek to find new followers by showing off their photos to more people. The use of hashtags makes photos and videos available for everyone to see. The more hashtags posted alongside the photos and videos, the more likely it is that new people will see those photos. Having more followers seems to appeal to teens because it makes them look more popular among their peers. So is Instagram or Facebook more popular among the 12-17-year old teens? Do teens really use hashtags to gain followers? How do teens know which is the most popular social media among their age group? They can conduct their own survey and draw their own conclusions. “Being fresh is more important than having money. The entire time I grew up, it was like…I only wanted money, so I could be fresh.” ~ Kanye West. Recently, I had the chance to see the indie film entitled Dope. The movie centers on Malcolm, a straight-A student and musician from a rough neighborhood in present-day Los Angeles. Obsessed with 90s Hip-Hop music and fashion, the movie captures his search for identity while navigating the turbulence of his immediate environment. 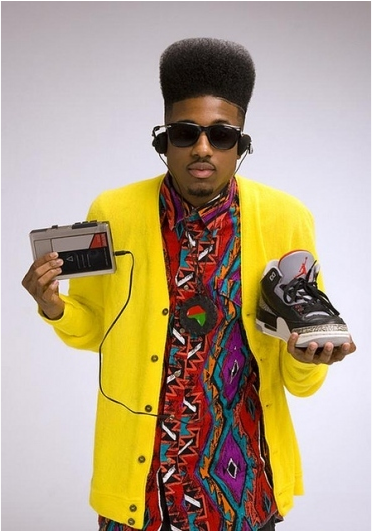 Embracing a retro style patterned after the 90s, he wears a high top fade haircut, stonewashed denim jeans, Nike Air Jordans, and other brands prevalent during the “Golden Era of Hip-Hop”. Unfortunately, he is inadvertently pulled into criminal life when he comes to posses several kilos of a drug dealer’s molly, and presented with the choice of two potential life paths. This choice between two essential life paths is presented to today’s youth on a daily basis, and the search for personal identity is universally experienced during the adolescent stage of development. So why did Malcolm look to a past aesthetic of fashion to represent his present identity? His choice possibly was made to visually and distinctively set himself apart from the negative expectations for black males in his community. What I personally appreciate about the artistic expression of fashion, especially in Hip-Hop culture, is its ability to be both definitive and flexible. While at times a person can clearly take on a specific “look”, that same person remains able to represent his or her own individuality, ideas, or personal philosophy through their stylistic choices. In a sense, fashion can be a reflection of a person’s search for an identity within a paradigm of a specific culture. In the documentary, Pharrell Williams states, “When you’re young, there’s like a sense of wanting to express yourself…an importance of individuality.” This urge to find and establish individuality is a prominent challenge for the main characters of Dope. While Malcolm is not the only exception to the perceived “black male” typecast, through his character, the film examines a spectrum of stereotypes that are projected both inside and outside of an urban community. As seen in the current events that have spurred recent protest movements, stereotypes of black males are in full swing in today’s cities throughout the world, and our youth are continually placed at the intersection between expression of their own values, cultural histories, and pressures within community environments. Space! You can reach it! Two Seattle girls, aged 10 and 8, decided it would be fun to plan the construction and launch of a weather balloon into space. They achieved their goal, took a video of the whole process and launch, and have even impressed NASA. They learned how to create a design for their spacecraft from the web and created a design using materials bought and some from home. Trial and error changed the design from using PVC pipes to old arrow shafts to keep it light weight. Overall, the design of the craft resembled a triangle, or pyramid. They planned for the craft’s landing and even added styrofoam balls in the event of a water landing. The standard weather balloon they used for the ascent was filled with Helium, and the whole spacecraft was strategically launched from a specific point where they would be most likely to recover the craft upon its return to earth’s surface. As the weather balloon traveled further from the Earth’s surface, the air pressure around the balloon decreased drastically. As the air got thinner, the balloon’s casing got tighter. This is due to the gas expanding within the balloon. The expanding gas caused the balloon to reach full capacity and it popped. This is how weather balloons work, and these girls planned for its popping to initiate the spacecraft’s return to earth. The girls collected data during the launch. The Balloon ascended at a very constant rate – an average speed of 35 kilometers/hour. There was a peak speed recorded, of 110 kilometers/hour as the craft left whats called the Tropopause, right before entering the Stratosphere. They noticed a temperature drop as it got higher up, but then it changed at got higher as the craft left the Troposphere and got into the Stratosphere. The atmosphere is divided into five layers. It is thickest near the surface and thins out with height until it eventually merges with space. The troposphere is the first layer above the surface and contains half of the Earth’s atmosphere. Weather occurs in this layer. Many jet aircrafts fly in the stratosphere because it is very stable. Also, the ozone layer absorbs harmful rays from the Sun. Meteors or rock fragments burn up in the mesosphere. The thermosphere is a layer with auroras. It is also where the space shuttle orbits. The atmosphere merges into space in the extremely thin exosphere. This is the upper limit of our atmosphere. The girls’ spacecraft’s weather balloon popped at 78,000 feet, or about 15 miles into the atmosphere, which puts into the Stratosphere. Atmospheric pressure is the pressure exerted by the weight of air in the atmosphere of Earth. In most circumstances atmospheric pressure is measured by the hydrostatic pressure caused by the weight of air above the measurement point. On a given plane, low-pressure areas have less atmospheric mass above their location, whereas high-pressure areas have more atmospheric mass above their location. Likewise, as elevation increases, there is less overlying atmospheric mass, so that atmospheric pressure decreases with increasing elevation. These girls took all of these factors into consideration when planning their weather balloon spacecraft. It’s amazing what careful planning, passion, and ingenuity can do, even at a young age. According to the late Paul Robeson, artists have the opportunity to use their platforms to make significant changes in society. However, some would argue that artists have no obligation to address certain issues. Although they may have a point, when I think of artists who have become icons in popular culture, I think of those who have used their voices to raise awareness, especially as it pertains to social and political issues. Artists, such as Bob Marley, Nina Simone, John Lennon, Fela Kuti, Michael Jackson, Tupac Shakur, have all taken a stand against the injustices of the world. In retrospect, they have become bigger than their artistry. They have been philanthropists, humanists, revolutionaries, and activists. They have been individuals who have lived their lives beyond just fortune and fame. Issues, such as poverty, gun violence, police brutality, gangs, and racism continue to persist. But there is a new wave of artists who are carrying the torch. These artists are not only using their music, but also fashion to make social and political statements. For instance, in the 2004 presidential election, P. Diddy (founder of Bad Boy Records), Sean John, and Citizen Change launched a campaign to encourage more young people between the ages of 18 and 30 to vote. 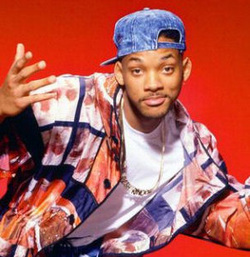 This helped change the face of the U.S. political landscape by encouraging the youth to “Vote or Die”, using celebrities as his support system. The campaign was meant to show that the right to vote is a matter of life or death. This notion may not be too far-fetched, as people have literally fought and died for this freedom. I believe this resonated with young people, not only because of the celebrities involved, but also because of its simple, yet powerful position in politics. This campaign was not only successful in 2004, but also in 2008, when President Barack Obama was elected. This leads to questionable motives of certain artists. There seems to be a thin line between legitimacy and sincerity from the public’s point of view, especially in this day and age where there are many cultural capitalists. In my opinion, there needs to be a clear alignment between the art and actions of the individuals, which leads me to Kendrick Lamar’s recently released, “Ventilators 2” by Reebok. Other artists, such as Usher and John Legend (pictured below), aren’t necessarily known for making social and political commentary in their music, but they have also been recently seen using fashion to make a statement. As we continue to face adversities in our lives, it is important to have the opportunity to express ourselves constructively. It may not necessarily be directly based on certain social, economic, or political issues; however, we are undeniably affected by these issues in one way or another. In that regard, we should continue to find creative ways to address these issues for the betterment of mankind.